Good news for those contemplating a run for office in the 2010 municipal election. A training seminar entitled C. P. O. will be offered on Tuesday, Sept. 8 beginning at 7 p.m. in the Carnegie Room at St. Thomas Public Library. Lecturing at the event is city historian Ray Galloway, although the info sheet contained in Monday’s city council agenda includes no credentials pertaining to his relevant political background. We do remember Galloway was the driving force behind an unsuccessful move in 2004 to pardon Fred Temple, son of Fred Temple Sr., the killer of St. Thomas police officer Colin McGregor, slain in the line of duty on May 7, 1934. In his info sheet, Galloway notes the C. P. O. plan includes discussions on commitment, planning and organization. Also to be covered are fundraising, pamphlet preparation and distribution. Guest speaker is Oxford MPP Ernie Hardeman. Gee, you would think with two high profile politicos in Steve Peters and Joe Preston we could have gone local for this portion of the evening. The resource person for the training session is none other than Mayor Cliff Barwick. Registration must be done in person at the library front desk. Sounds like the type of keen political insight available at this seminar might be of value to some of our current members of city council. Apparently, they will not be able to attend as a council meeting is scheduled at the very same time. Hmm, how does Galloway plan to make his resource person available to interested parties that evening? Appears a little work on planning and organization may be in order for the seminar. The fee, by the way, is in keeping with the apparent lack of direct political experience by the seminar’s lecturer. In other words, no charge. During the summer heat of 2006, the city purchase card debacle had reached its zenith and then mayor Jeff Kohler’s policy review committee was struck with a mandate to tighten up existing policy and spending parameters. Under the direction of chairman Ald. Barwick, committee members put the bite on food and alcohol purchases, fine-tuned the statement approval process and encouraged department heads to review use with a view to reducing the number of cards in circulation. After three meetings, the committee was wound down after wrestling with an issue of confidentiality raised by Ald. Tom Johnston’s evidence of at least two cardholder purchases of a personal nature for which the city had yet to be reimbursed. Council voted down a motion by Johnston to obtain a legal opinion on confidentiality concerns dealing with the expense irregularities. At the time, Johnston was accused of orchestrating a witch hunt. However, claims the purchase card system was never abused were once and for all dismissed as a result of the committee’s recommendations adopted by council. Incidently, those same five members of council earlier that year voted to defer a forensic audit into credit card use. The editiorial continued, “without the ability to seek a simple legal opinion, an option council pursues regularly as it undertakes day-to-day business, chairman Barwick has no recourse but to terminate his probe into purchase card expenses. It can be argued the credit card kerfuffle would go on to play a key role in the municipal election just four months later. The following city staff reports seem to have gone missing in action: CASO St. Thomas Trans-Canada Trail; Northside Arena environmental assessment cost; Timken Centre fundraising update from chairman Hilary Vaughan and the proposed public/private partnership between the city and Faith Baptist Church. 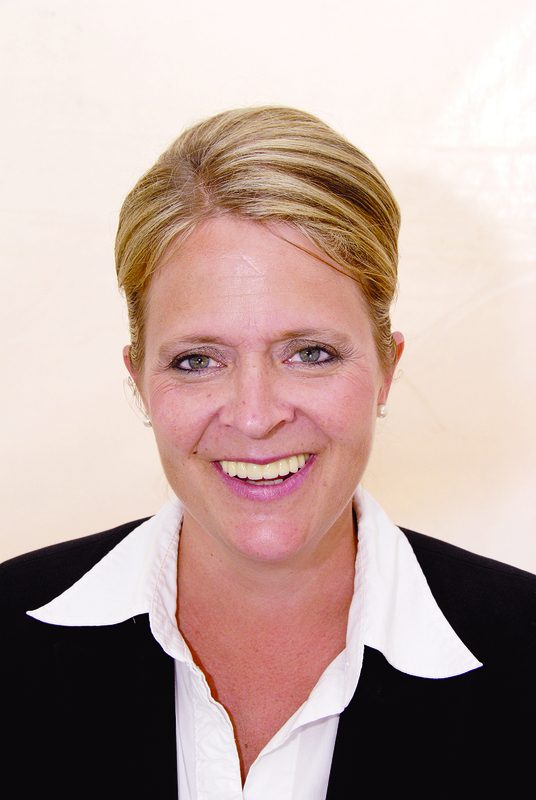 Suzanne van Bommel annouces she will not seek the federal Liberal nomination in Elgin-Middlesex-London in a possible fall election call. This entry was posted in City of St. Thomas, City Scope, Uncategorized and tagged City of St. Thomas, City Scope, Suzanne van Bommel. Bookmark the permalink. I looked at the agenda for Monday’s council meeting; pages 138 and 139 “SO YOU WANT TO BE A POLITICIAN”– it seems queer that one page is handwritten and the other page appears to be a word document. The request (page 138) is handwritten in broken English and signed by a “Ray Galloway” with no address or contact information. Why did this even make it to the agenda? Are the material to be covered and/or the instructor of the seminar approved and endorsed by the Association of Municipalities of Ontario (AMO) or the Federation of Canadian Municipalities (FCM)? If not, why not? If council has already taken this training seminar it would be interesting to hear their comments on its’ value or non-value. This is all about credibility (or lack of it) on all fronts. One week prior to the inauguration of the new council elected in Nov. 2003, a key recommendation of the McCarthy Tetrault report was implemented. The report (authorized by the previous council), which examined St. Thomas council operations and its dealings with city hall staff, presented three recommendations including the proviso that the council elected in the Nov. 10 municipal vote immediately be provided with appropriate training. That mandate was fulfilled when all eight members of the council-elect met at an undisclosed location in London, Ont., for a day-long training program which cost in the neighbourhood of $5,000. The morning session, under the direction of Caroline Kearns, a management consultant with The Randolph Group, focused on the principles of elected office, the leadership responsibilities of governance and the roles and responsibilities of elected officials and staff. The resource material for that session was culled from Cuff’s Guide for Municipal Leaders, authored by George Cuff, a management consultant who has conducted more than 350 reviews of municipalities across Canada. The afternoon session was led by Kathryn Munn, of Munn Conflict Resolution Services, and dealt with conflict resolution and applying those skills to the negotiation process. He praised members for their enthusiasm and hinted similar sessions may be in the works down the road. To my knowledge none has taken place since. But it is experts with this sphere of expertise who should be coaching/advising potential candidates or even those already elected. This is the only way we can hope to improve the calibre of those entrusted to guide St. Thomas into the future. Agenda pages 138 and 139 “SO YOU WANT TO BE A POLITICIAN” struck me as queer as one page is handwritten and the other page appears to be a word document. The request (page 138) is handwritten and signed by a “Ray Galloway” with no address and/or contact information. How did this make it to the agenda? Are the material to be covered and/or the instructor of this seminar approved and endorsed by the Association of Municipalities of Ontario (AMO) or the Federation of Canadian Municipalities (FCM)? If not, why would you support it by your silence? To then hear the part-time mayor advise that he would skip a portion of the Sept.8th council meeting to attend this seminar is questionable. After all, the mayor was elected first and foremost to attend to the affairs of the city. If the mayor wants to attend an optional seminar, then why not reschedule the council meeting to Sept.9th? That would allow all on council to attend the seminar if they so desired.